The award-winning Swaledale festival is an annual celebration of music and arts in the beautiful alndscape of the three northernmost Yorkshire Dales - Swaledale, Wensleydale and Arkengarthdale. With a primary emphasis on classical music, the festival attracts the finest artists from all over the world, and regularly commissions new work. 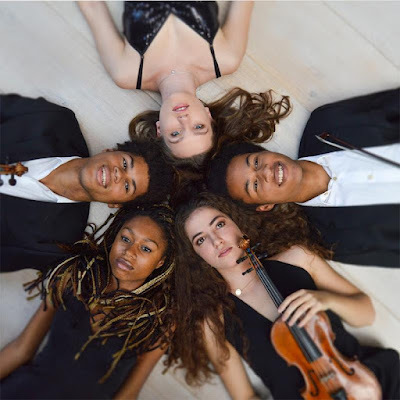 We are proud to be sponsoring the flagship event to be staged at the 2019 Swaledale Festival, Sheku Kanneh-Mason and Friends on Sunday 2nd June. Sheku and his two highly-talented siblings Isata and Braimah will be joined by two friends from London’s Royal Academy of Music for an evening of exquisite chamber music. Following his triumph in the BBC Young Musician of the Year competition a few years ago, and his performance at Prince Harry's wedding, the brilliant cellist Sheku Kanneh-Mason is without doubt the biggest name in the whole of classical music at the present time. The programme will comprise music for two, three and five players by Beethoven, Fauré and Dvořák. We have a limited number of complimentary tickets to this event which will include a private pre-concert reception and 2 course meal at The Garden Rooms at Tennant's, Leyburn, North Yorkshire.